Presenting Chiang Mai Volunteer and Intern Group #225! 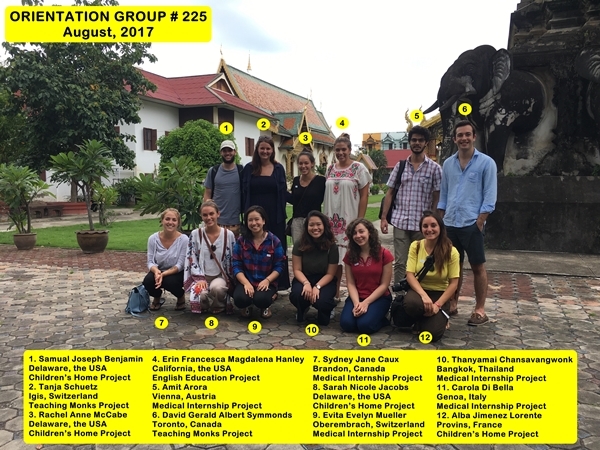 This group of 12 volunteers and interns arrived into Chiang Mai earlier this month, and started their projects a few weeks ago. Participants in this group are from the USA, Switzerland, Austria, Canada, Italy, France, and Thailand. The members of this group participated in our Medical Internship, Children’s Home, Teaching Monks, and English Education Volunteer Projects. Please visit our Projects Page for more info on our volunteer and intern opportunities.